By integrating HappyFox Chat with Slack, you will get chat related notifications on Slack channel for events like new chat requests, chat accepted, chat ended, missed chat and Offline messages. Only Admin user has the access to Slack app integration. Step 2: Go to Apps → Slack. 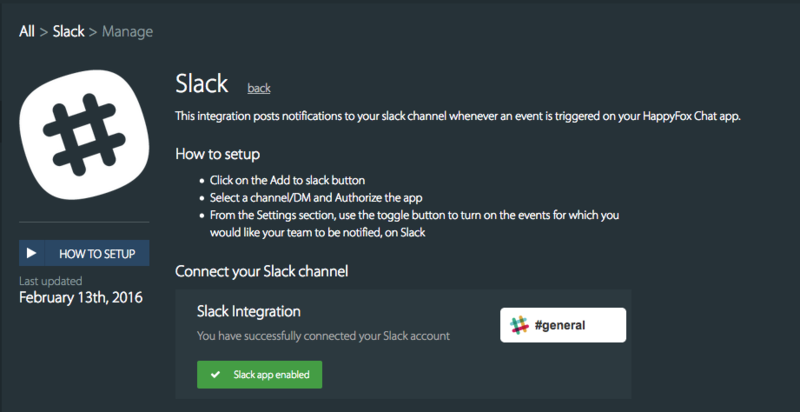 Step 4: Click Add to Slack button. Step 5: You will be prompted to provide the Slack team name and your login credentials. Select the Slack channel where you want to get Slack notifications from HappyFox Chat → click Authorize button. 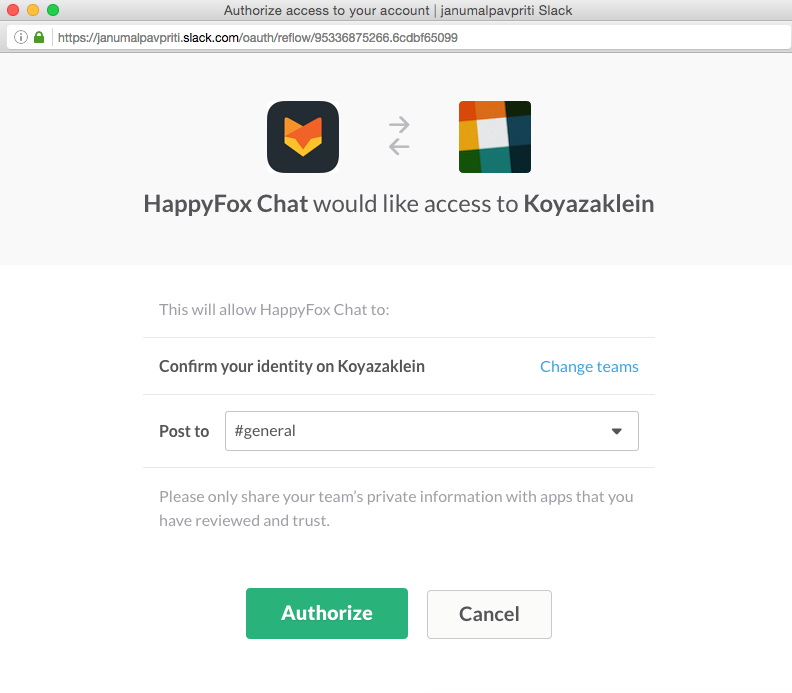 Step 6: Now your Slack account and HappyFox Chat Account is connected successfully. Step 7: Finally, click Update settings. On successful integration, chat notifications will be posted to Slack. 1. 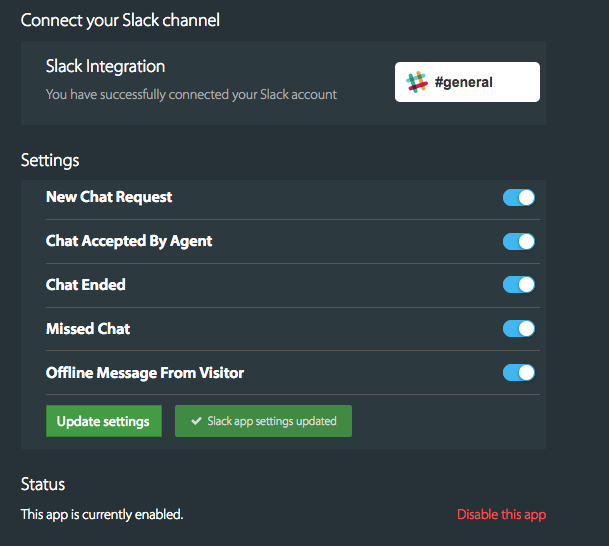 You will see the redirection link to accept the new chat or view completed chat on Slack. You can see notifications for missed chats on the Slack channel. 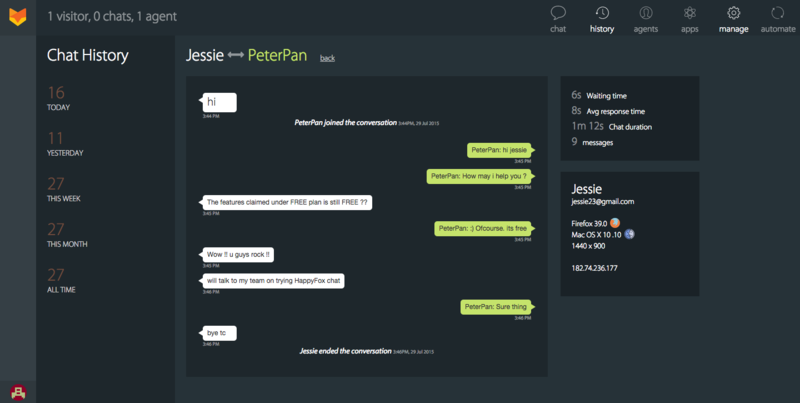 1. a) Clicking on View conversation-will display the following screen. 1. b) Clicking on Accept chat will display the following screen. 2. You can also view the offline message directly on Slack. Start collaborating with your team with Chat notification on Slack and keep them informed about the chat conversations on HappyFox Chat.